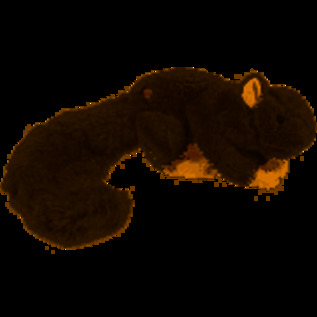 Realistic fur and under-stuffed body make for ease of play, carrying and toss-ability. 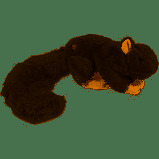 Each Squirrel has one squeaker and a crinkly tail. The top layer of HuggleHounds toys are designed for maximum appeal, with fresh colors and interesting textures and fun, original designs. Cushioning protection makes the toys easy to wash, and quick drying. Hugglehounds are also made with safety in mind.